In the third book in the acclaimed teen fiction, ‘Missing Lake’ series, Luke Houser is approaching his sixteenth birthday as well as summer vacation in the tiny mountain community of Missing Lake. He continues to try to find balance between real life with friends and their social requirements with the secret world of the mystical dragons. Luke faces challenges with one of his beloved sled dogs as well as with Zagros, the majestic silver dragon, when he has to make choices that could lead to potential disaster. As the summer unfolds, so do more secrets in all aspects of Luke’s life and he tries to make sense of everything happening around him. This is the third book in the series which shares Luke’s awkward and yet charming journey through adolescence with his beloved team of huskies, his friends near and far, and two dragon eggs that are going to hatch in the middle of nowhere. Ever since I was a child I have been fascinated with the idea of dragons. I thought they were real creatures that lived in the age of dinosaurs. 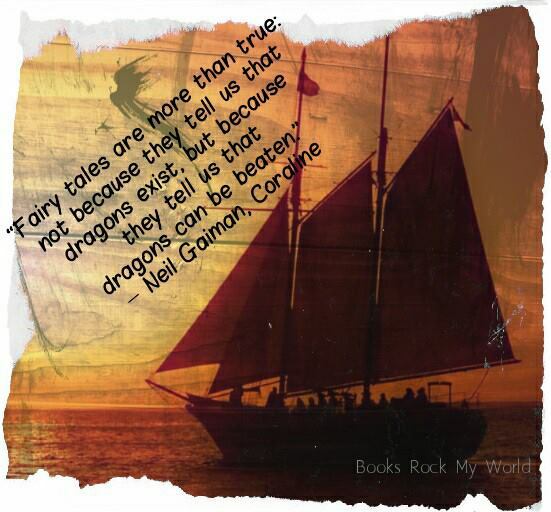 I have to admit that I still love stories with dragons as an adult. ‘Secrets Abound Missing Lake’ is the third book in Tanya Fyfe’s ‘Missing Lake’ series. It centers on Luke who is about to turn 16 years old. He is a typical teenager. He wants to get his driving permit, he hangs out with friends, and he likes a girl but doesn’t really want to admit it. However, he also has a lot of responsibility. He and his dad have a team of sledding dogs. In fact, they moved from Bismarck, North Dakota to middle of nowhere Montana to take up dog sledding. He is mostly responsible for keeping their kennel clean. He also helps out his step mother at her veterinary clinic after school. Luke also has a very big secret that only a few people know about. He is friends to a dragon couple, Zagros and Samantha and they are guardian of two eggs that are going to hatch. Both his father and Jackie have met the dragon couple. This is mostly a coming of age story. It’s fun to follow Luke through his awkward teenage years and how he deals with life. He is also conflicted because his mother lives far away in Vancouver, British Columbia, Canada. He wants to see her but doesn’t want to leave his dogs and dragon friends, etc. The descriptions of North Dakota, Montana, and Vancouver are well written and help the reader sink into the story. 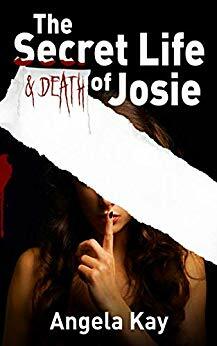 The characters and dialogue keep the pace going and makes for a book that is hard to put down. The ‘Secrets Abound Missing Lake’ is a memorable book that I plan to share with my grandchildren when they are a little older. I also plan to read the first two books in the series and can hardly wait for book 4. 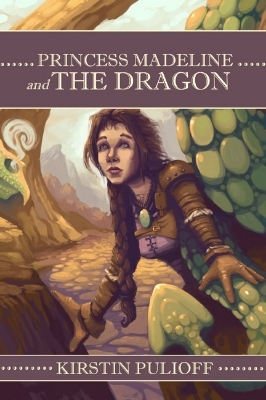 This book is a must read for those who like coming of age stories and dragons. Actually animal lovers would love it as well. I give it 5 stars. Tanya Fyfe grew up in Canada as a professional figure skater who dreamed of writing books. That dream came true when she wrote and published Lost and Found in Missing Lake in 2014. Now a veterinarian, Dr. Fyfe lives in rural western Montana and is inspired daily by the beauty around her. She and her husband split time between Montana and North Dakota and enjoy improving their golf games and visiting Hawaii every chance they get. They share their home with charming dogs, inquisitive cats, a herd of horses, and three hilarious ferrets named Phillipa, Calypso, and Luigi. Siobhan has always known that she could tell if someone was lying and that she could see things more clearly than others. She also met a dragon in her grandma’s garden when she was 5 years old. Now she’s older and has inherited her grandma’s house. The dragon is still there and angels show up as soon as she starts remodeling. She is told that she is the Watcher and that her choices will save or destroy humanity (no pressure there). Even though Siobhan and the others are in their upper twenties, they act younger. I kept picturing them in their early twenties and it was difficult for me to get that out of my head. There is a lot going on in this story besides the main fight between the Fallen Angels of Lucifer and the dragons. It has love, heartbreak, and loss among other things. If you like urban fantasy, you’ll like The Dragon in the Garden. completed at age five) she turned to writing full-time in 2011.
bio, “is subject to change without notice”. which Iron Maiden album is the best (clearly, it’s Brave New World). Dominick is a little boy fascinated by dragons. When he finally meets one named Elvis that wants to eat everything, including him, he has to find a way to outsmart him. His adventure proves a boy can be smarter than a dragon. Dominick and the Dragon is a cute children’s book about two boys who tease their younger brother and tell him that dragons live in Dark Forest behind their house. When Dominick sees a dragon near their backyard, he’s surprised that there really are dragons and he realizes that his brothers didn’t really know much about dragons. 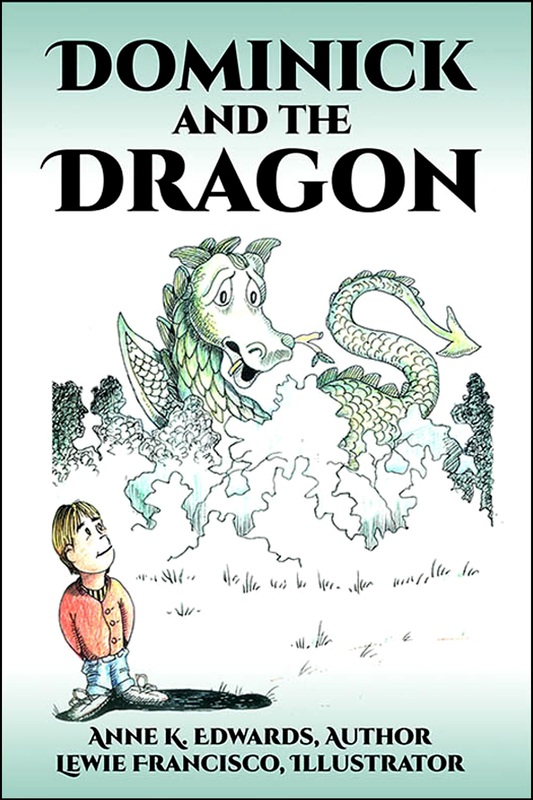 Dominick has a scary adventure with the dragon and his wife but his brothers don’t believe him. Will he ever be able to prove that he met dragons? This is a fun fantasy for young children with cute illustrations. Anne K. Edwards enjoys writing tales for children when she’s not focusing on a mystery. Some stories are ideas taken from little misadventures of her cat who actually did fall off the porch and land on a large blacksnake as it was sunning itself. Both were more than a little surprised. What if I told you that all of the fairy tales, myths and legends that have been told about dragons over the years are WRONG? What if I told you that Dragons are indeed REAL and that they are different than you’ve ever imagined? Did you know that Dragons are the master of disguises? Did you know that they love sugar and sweets (at unacceptable levels) and will do anything for treats? Award winning author Valarie Budayr brings us this fairly true story based on her childhood friendship with a REAL live Dragon. What a great book for children! It’s about dragons actually being real and tells all the great things they like to do such as read, recite poetry, and hide in plain sight. It encourages children to use their imaginations. 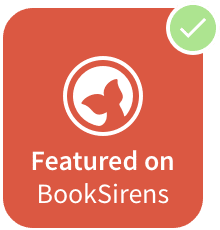 The vibrant colors in this book will keep the attention of all ages. I really like the picture of the cover that looks like the cover of a very old leather book. I definitely recommend this book. It will make you want to go find a dragon to befriend. Award Winning and Best-selling author, Valarie Budayr inspires children and adults alike to experience their books through play, discovery, and adventure via engaging extension activities on her popular website, www.jumpintoabook.com. Valarie’s other best-selling and award winning titles are: The Fox Diaries: The Year the Foxes Came to our Garden, The Ultimate Guide to Charlie and the Chocolate Factory, and A Year in the Secret Garden. Michael Welply was born in London in 1948. The family moved to Winnipeg, Canada, in 1950. He studied art in Winnipeg and then in Paris, but his idea of living from the sales of his paintings is somewhat compromised by the lack of buyers. He started his career as an illustrator in 1977 in London. In 1981 he returned to live in France with his American wife and their two children. Since then he has worked for publishers in both Europe and North America. To date he has illustrated over 80 books and more than 100 covers, in a wide range of subjects extending from detailed non-fiction to juvenile and adult fiction in the realms of fantasy, mythology, science fiction and fairy tales. How to enter: Please enter using the Rafflecopter link below. Terms and Conditions: NO PURCHASE NECESSARY TO ENTER OR WIN. VOID WHERE PROHIBITED BY LAW. A winner will be randomly drawn through the Rafflecopter widget and will be contacted by email within 48 hours after the giveaway ends. The winner will then have 72 hours to respond. If the winner does not respond within 72 hours, a new draw will take place for a new winner. Odds of winning will vary depending on the number of eligible entries received. This contest is in no way sponsored, endorsed or administered by, or associated with Facebook. This giveaway is sponsored by the author, Valarie Budayr and is hosted and managed by Stacie from BeachBoundBooks. If you have any additional questions feel free to send an email to stacie@BeachBoundBooks.com. The king writes up more silly rules in the royal rule book to deter Sir Princess Petra from her knightly ways and useless talent and turn her into a real princess once and for all. I had read the second book in the Pen Pieyu Adventures, Sir Princess Petra’s Talent, and enjoyed reading about Sir Princess Petra’s adventures so I was happy to read Sir Princess Petra’s Mission to see what other adventures she would find. At the beginning of the book, a synopsis of the first two books is given so even if you don’t read them, you’ll still know what is going on. This time, her father sends her on a mission and if she fails, she’ll lose her knighthood. She sets out with her friends and, of course, they have a great adventure. Diane Mae Robinson does a great job describing the characters as well as the scenery. There are also colorful pictures but her descriptions will encourage children to use their imaginations. Sir Princess Petra is a character that children can look up to. She does what she is ordered to do because she is a knight, but she won’t give up her honor. She knows what is right and she will stick to it even if it’s going to mean that she’ll lose her knighthood. Sir Princess Petra’s Mission is a fun book for children to read or it would be a good book to read aloud. I think it and the other Pen Pieyu Adventures are stories children will enjoy reading over and over. Sir Princess Petra is the first of The Pen Pieyu Adventures and it’s my favorite, maybe because I’d already read the next two books and I learned in this one how she became friends with the dragon, Snarls, and the bog witch, Bograt. Such a fun book to read! To the dismay of her parents, Princess Petra wants to be a knight but she has to perform a task first. Just the fact that she is able to convince her parents that she has the right to become a knight shows what courage Princess Petra has. On her adventures, she learns that you don’t have to be mean and nasty to be a brave knight. She also turns potential enemies into friend. She is a special princess, for sure. I definitely recommend Sir Princess Petra and the other Pen Pieyu Adventures for children of all ages. An eleven-year-old Latino boy wins a district-wide writing contest for sixth graders. When an author visits his school to award his prize, Diego Ramirez has no idea how much his life is about to change.Nathan Sullivan hands Diego his statue, a handsome, glistening black dragon. He shakes his hand and leaves him to his friends. The students crowd around Diego, asking for permission to hold it.After hearing the name Magnifico spoken aloud by family and friends, Diego awards it to his new dragon. If he only knew how fitting the name was, he might have known what lay ahead. Magnifico is the leader of the Sol Dragones, dragons that live within the magical fires of the sun. Nathan Sullivan is the earth’s connection to the mysterious creatures. It is his task to find Magnifico’s guide.As Magnifico comes to life he becomes quite mischievous, playing tricks on Diego to embarrass him. As he discovers his bloodline, however, Diego assumes greater control over his dragon and his destiny. In the climactic journey, he frees his people and suffers a terrible loss by guiding Magnifico to their goal. 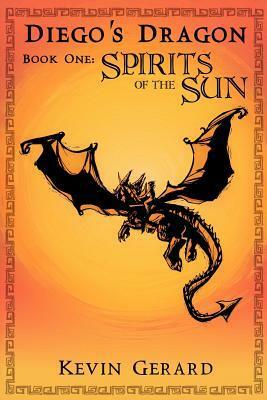 Spirits of the Sun is the first book in the Diego’s Dragon series. It’s a fantasy about a boy who receives an award which is a dragon statue. The dragon, however, is alive! I thought that Diego’s reaction to the dragon was realistic. So often, I’ve read books in which children or adults come across dragons and they’re not surprised or scared but Diego is terrified. I wasn’t surprised when Diego lied to his parents. He’s 11 and what 11 year old isn’t going to lie to get out of trouble? I didn’t like that his dad just laughed it off or, later, said how disappointed his mother was going to be. What about him? It was interesting to read about the food and some of the customs of Diego’s family as wells as a little of their history. The history blended well with the story and the purpose of the dragon, Magnifico, being there. I believe middle school age children would enjoy this book, especially if they like fantasies. When Dewi is clobbered by a falling rat, the nosy Welsh dragon snoops his way into a challenging predicament. Helped by a toad with a passion for chemical wart cures, Dewi discovers that a megalomaniac baron is secretly breeding mutant corn at an unfriendly castle. To thwart the genetically modified-corn baron’s sickening plan, he must use moxie and firepower in a series of catastrophe-skirting capers. 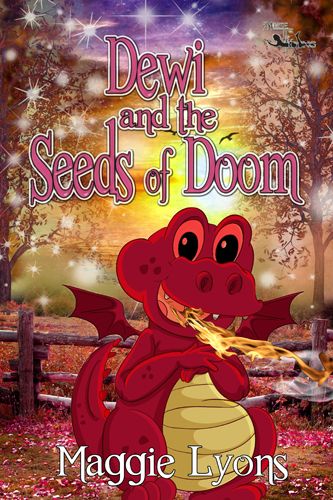 Dewi and the Seeds of Doom is a children’s fantasy about Dewi, a young Welsh dragon, who saves a rat and learns from the rat that there is an evil baron who has an evil plot. Dewi is afraid to tell his dad about it so he enlists the help of his friend, a toad named Jones, who is a scientist. The two of them attempt to get evidence to prove to the adults that there is an evil plot brewing at the Castle Gloomsgor. Maggie Lyons’ writing flows well and is easy to read, but not too easy. There are a couple animals mentioned, such as a vole, that I hadn’t heard of but I think it’s great that there are a couple words that children may have to look up while they’re reading. The story is cute with nonstop action and even a little suspense. The only thing I missed was pictures. I think a few pictures here and there of Dewi, the castle, Jones, etc., would make the book even better for chilren to read. Despite the absence of pictures, I believe children would enjoy Dewi and the Seeds of Doom. Maggie Lyons was born in Wales and very properly brought up in England before gravitating to Virginia’s coast. She zigzagged her way through a motley slew of careers from (unofficial) British spy to academic editor. Writing and editing nonfiction for adults brought plenty of satisfaction but nothing like the magic she discovered writing for kids. Her children’s books Vin and the Dorky Duet (for ages 7 through 12) and Dewi and the Seeds of Doom (for ages 6 through 10) are available on order at most book stores including Amazon. After a season of battle and rebuilding, the Kingdom of Soron is exhausted. With the return of the exiled wizards, the Spring Faire, and her upcoming wedding, Princess Madeline is looking forward to a peaceful season of celebration. When the mysterious green dragon reappears, threatening the kingdom and the king, Princess Madeline and Prince Braden won’t rest for long. Faced with this incredible new danger, Princess Madeline and Prince Braden must find a way to lead their kingdom and secure their future. Can they find the answers hidden within their mother’s cryptic messages from the past, or will the dragon destroy everything they hold dear? Follow Princess Madeline as she embarks on a dangerous new adventure to save her kingdom and her family. Princess Madeline and the Dragon is a fairy tale that has kings, knights, a princess, and dragons. 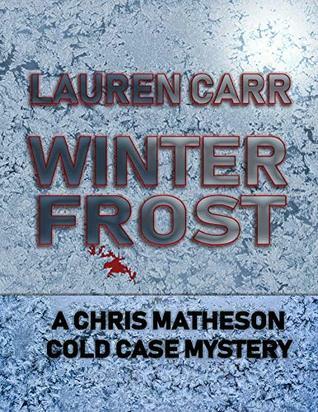 It starts out with an exciting prologue and stays interesting throughout. It also has a good lesson for children that the power of love triumphs over all. This story is well written and full of adventure. Anyone who enjoys young adult fantasies would like this book especially middle grade children. 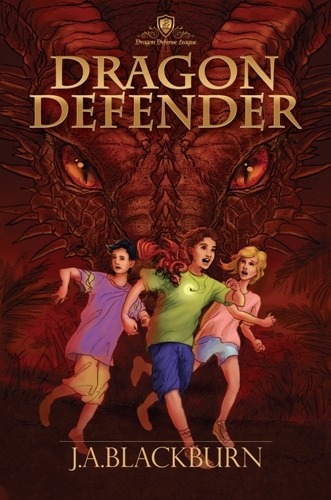 Dragon Defender is a fun book for children. It has action, adventure, and best of all, dragons. Peter, the main character, thinks he’s a normal, although introverted, 12 year old. He turns out to be anything but normal. Not only does he come from a long line of Dragon Defenders, but he’s resourceful and is able to face any obstacles he must face. He also easily makes a couple friends along the way. I enjoyed reading about Peter’s adventure with his new friends and I am looking forward to reading The Mountain of Ice and Fire. This is a book that anyone of any age would enjoy reading.